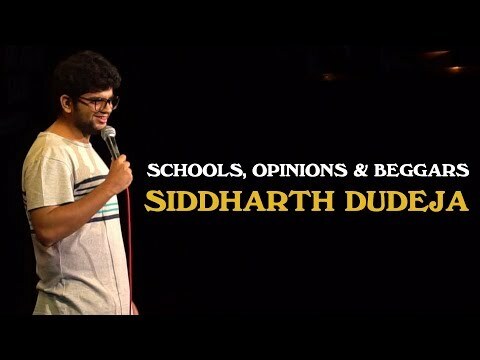 A young blood among the experienced comedians Siddharth Dudeja is only 23 years old and is on an everlasting sabbatical. Between his busy schedules Siddharth somehow finds time to show his excellence with words and witticism on stages. He has performed at many of the major festivals and was also a part of ‘The Best in Stand-up’ where he received a lot of appreciation from the crowd. Still wondering how he is going to spend the rest of his sabbatical Siddharth loves talking about how vegetarians and his school played the vital role in ruining his childhood. Sometimes being a responsible human he would also like to talk about world peace.